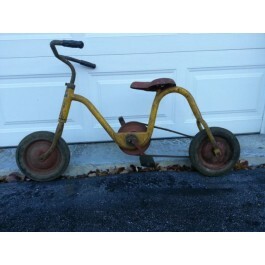 Rare antique bicycle for sale. This is a Mr. Cycle made by the National Cart Corporation out of Pasadena CA. It is belt driven. All original, unrestored. Hard rubber tires are in good shape. Good working condition. No shipping. Local pickup only.